It is a great privilege to be asked to address the 33rd commemoration of one of Dungiven’s proudest sons, National Liberation Army Volunteer Kevin Lynch. Whilst the people from this community, and indeed our entire Island, who lived through those dark days of Hunger Strike, remember Kevin Lynch as a friend, a brother, a son, a comrade a National Liberation Army Volunteer, who gave his life so those who came after him could benefit from his sacrifice, I come from a different generation, from a different time. 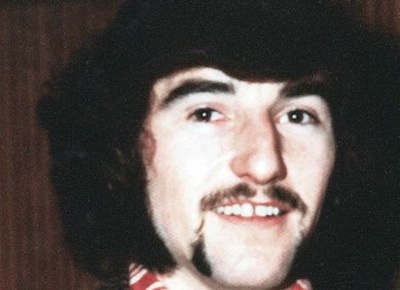 I, and thousands like me, come from a generation of Republican Socialists who did not live through those dark days of Hunger Strike but who endeavour to carry on the struggle Kevin Lynch ultimately gave his life for. I cannot begin to understand or to even comprehend what Kevin Lynch’s sacrifice means to a community like Dungiven but I can quantify what his and his comrade’s sacrifices mean to someone like me. The brutal hardship endured on the Blanket and on the Hunger Strike has left no lasting notion of romantic conflict on the consciousness of young contemporary Republican Socialists. The collective suffering of friends, family and an entire nation is nothing we believe should be celebrated; we have learned the hard lesson that the suffering of the people should be avoided and that armed struggle only used as a last resort. The oppressive murderous tactics of the British occupation in which brave young men like Kevin Lynch were forced to take up arms against are something, we hope, are consigned to the history books. But one thing that is not consigned to the history books, let me be very clear in saying this here today, is the political philosophy of equality, justice, respect, national liberation and socialism that Kevin Lynch and his comrades died fighting for, it is very much a part of the struggle we continue to fight. We have a vision to create a progressive nation that was outlined in the 1916 Easter Proclamation of the Irish Republic. We have a vision that states the right of the people of Ireland to the ownership of Ireland. It declares that we shall cherish all of the children of our nation equally. We shall endeavour to create a workers republic that shall guarantee civil and religious liberties for all and create equal opportunities for all of its citizens. I am in no doubt that Kevin Lynch and his comrades understood the importance of those key elements of that historic document, they also understood that building socialism in Ireland is paramount. As our generation of Republican Socialists continue the struggle we are under no illusions, we are standing on the shoulders of giants of men like Kevin Lynch. Comrades we have much to do. Occupied Ireland functions on the State sponsored anti-republican premise of a sectarian Catholic Vs Protestant political carve up. British intelligence agencies and their secret agendas reign supreme over all the executive institutions of Stormont. Political policing, poverty, fuel poverty, unemployment, underemployment, deprivation and substance abuse are destroying the very fabric of our communities. The 26 counties are not much better. The Economic occupation of the Free State by the European Union the European Central Bank and the International Monetary Fund has created a generation of lost youth faced with emigration or poverty on the dole. Kevin Lynch’s party, the Irish Republican Socialist Party has some sobering decisions to make on this our 40th anniversary. Do we walk away from this proud mans commemoration and simply go home. Or do we leave today and go back into our communities and trade unions and build the culture of resistance to capitalism, imperialist occupation and neoliberal thought worthy of those who went before us? In 1995 comrade Gino Gallagher hinted that the change in strategic tactics in the way in which we persecute the struggle will be difficult to accept by saying “I feel more comfortable with a mask on”. We can all identify with that sentiment but even in 1995 Gino recognised that without a collective coherent progressive political strategy we are “on a hiding to nothing”. That sentiment is as relevant today as it was nearly 20 years ago. We owe it to Kevin Lynch, Pasty OHara, Mickey Devine, Bobby Sands, Ray McCreesh, Kieran Doherty, Joe McDonnell, Martin Hurson, Francis Hughes and Thomas McElwee to continue the struggle. We owe it to the hundreds and hundreds of other National Liberation Army and Provisional Republican Army volunteers who died fighting British Imperialism to continue the struggle. We owe it to the thousands upon thousands of political prisoners whose lives were destroyed by the struggle to continue to fight to create a workers republic worthy of heir sacrifice. Standing on these patriot men and women’s shoulders is no easy task comrades, let us create the resistance and empower the people of this island to be the masters of their own destiny through our struggle for National Liberation and Socialism. Comrades, I will finish with a quote coined from a founding member of the Irish Republican Socialist Party, Bernadette Devlin-McAliskey. When referring to those murderers who are responsible for driving our ten brave comrades to their deaths on Hunger Strike in 1981 she said “Hell is not hot enough, nor eternity long enough for those who stood by and watched those men die”.